Though you may not assume so, fires from dryer vents are extremely common. According to the National Fire Protection Agency, there are approximately 15,000 house fires each year caused by clogged dryer vents. This is why prevention and protection from these hazards are important. We know that emergencies happen, but we want to help you prevent as many headaches as possible. Dryers are something we always plan on having and using, but how often do you think about cleaning out your vents and maintaining your systems? It’s not a common thought when it comes to seasonal maintenance, though it’s extremely important. With the use of dryers over time, filters become full of lint, dust, and particles. These materials are highly flammable. When dryer vents become clogged because of this, it can cause intense heat and even fires in the dryer or dryer duct. Have professionals like the Pro-Care team come and clean out your vents regularly, and you can save your trouble from all of this. With our process of using compressed air and the spinning ball method, we pull debris from your vent until our technician can dislodge the debris properly. This process allows the Pro-Care team to service dryer vents from the exterior of each property. That makes it easy for residents to have their vents cleaned with minimal inconvenience. Beyond lint and dust build up, you may commonly find animals nesting in your dryer vents. This is because small animals and bird are drawn to the warmth and dry essence of the space within dryer vents. When small animals make a home for themselves in your dryer vent, it can become completely compromised and obstructed. When animals and nests are removed safely, we can install a bird guard to prevent animals and birds from coming back and renesting. Spring is a great time to clean out your dryer vents and remind yourself to stay on top of this maintenance throughout the year. You can get in the habit of checking your vents periodically and cleaning them out regularly with the help of our experts. 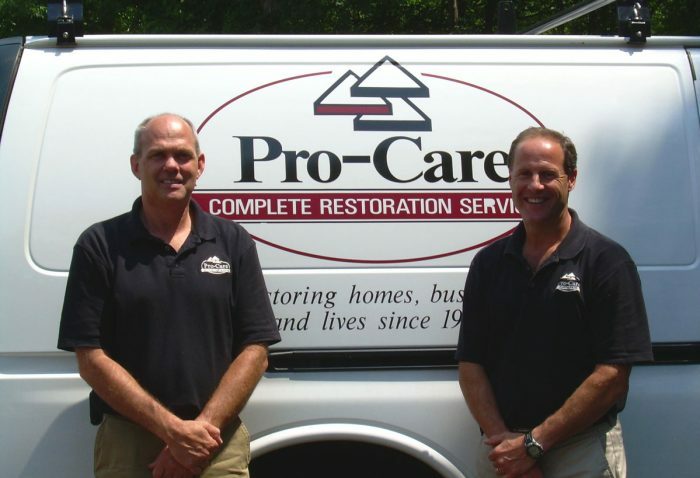 Pro-Care is here for you this spring. Cleaning commercial dryer vents is a huge part of what we do. Contact us at (781) 933-7400 with your questions.